﻿"4 Easy Ways to Make FAST CASH This Holiday Season!" 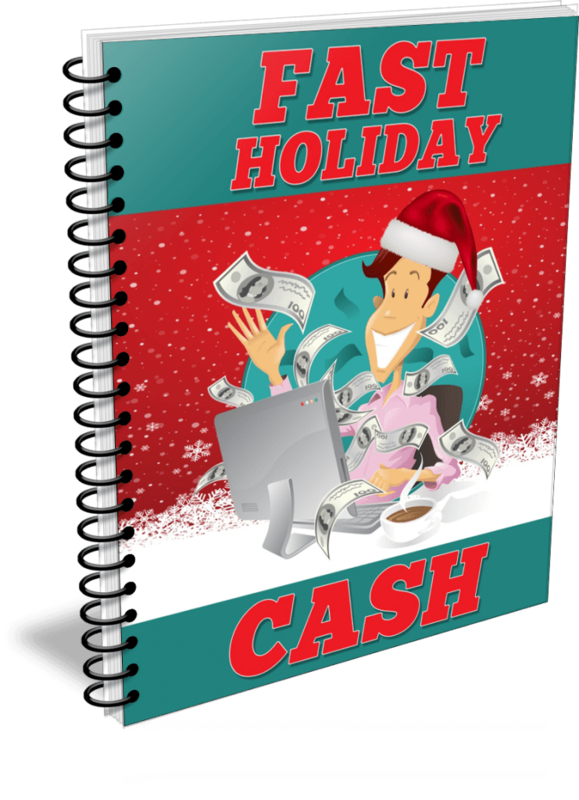 The ﻿﻿﻿﻿﻿﻿﻿Fast Holiday Cash Guide﻿﻿﻿﻿ is EXACTLY ﻿What You N﻿eed! It's ﻿﻿﻿﻿﻿﻿﻿7 Pages﻿﻿﻿﻿ of NO FLUFF, Actionable Content! "You Can't Go Wrong with the Included TWISTS!" This ﻿﻿﻿﻿﻿﻿﻿Short, Simple Guide﻿﻿﻿﻿ Reveals What YOU Can Do NOW to Get Earning FAST Holiday CASH! Get Ready to Earn FAST HOLIDAY CASH!